TMJ, or the “temporomandibular joint,” is the joint that hinges the jaw to the skull. 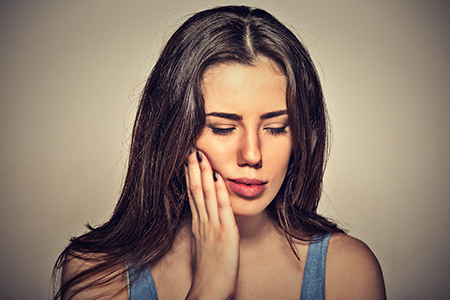 Patients, who have a condition known as TMD, or temporomandibular disorder, are often suffering from issues such as teeth grinding and tightness in the jaw area. Treatment for this condition does not require Beverly Hills area patients to undergo a surgical procedure. Instead, they can consider the advantages of oral appliance therapy. Dr. Sanda Moldovan of Beverly Hills describes oral appliance therapy as the use of a special orthotic that is worn in the mouth to relieve pressure and tightness that occurs with conditions such as TMD or bruxism. These conditions can be incredibly uncomfortable for patients. Instead of visiting a physician who will prescribe pharmaceuticals, it is better to work with a group of professionals who can diagnose the problem at the source and provide an effective treatment. It eliminates the reliance on medications to manage pain and discomfort. Instead of undergoing surgical procedures or dealing with a lifelong regimen of pain management with prescription medicines, Dr. Sanda Moldovan works with chiropractors or osteopaths to correct the TMD, making sure everything is also skeletally aligned. She encourages patients to consider the advantages of using oral appliance therapy and microcurrent / laser therapy to their benefit for addressing the symptoms of this disorder. Schedule a visit with Dr. Sanda Moldovan today! Patients in the Beverly Hills area are welcome to contact Dr. Sanda Moldovan by calling (310) 651-6588 or scheduling an appointment at her conveniently located practice in person at 465 North Roxbury Drive #911. She is a dentist who is dedicated to helping individuals in achieving better oral health and wellness, and is trained and experienced in providing patients with assistance when problems such as TMJ and bruxism occur.